I love the paint splatter in the background and the refreshing colors on this card! I am entering this card for The Paper Dolls Challenge#46 - Spring Bling. Also, the march sketch challenge is up at Prickley Pear Design Blog and its a great sketch this month around. Make sure you enter to win a gift certificate to the Prickley Pear store. Gorgeous springy card.Loved the colours and the layout.The butterfly is fabulous.the sentiment is apt. Fun card, Ujjwal! Love that tall shape and all the pretty flowers. The bling in the centers and the splatters are fabulous. 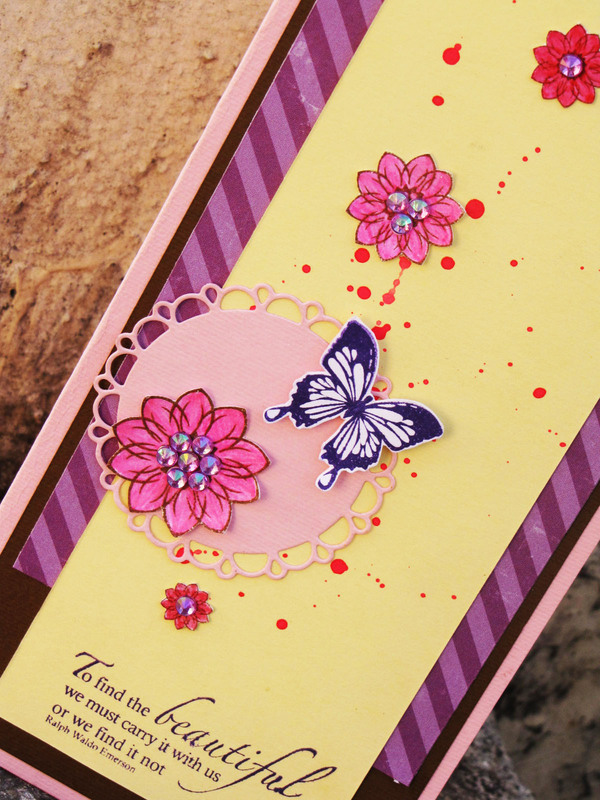 Really love the scalloped circle die here with the sweet butterfly. Beautiful card. I love the splatter and flower placement. Thanks for playing along with the Paper Dolls. What a pretty card. I love the flowers with that bling. I forgot to add--thanks for playing along with the Paper Dolls. This is a gorgeous card with beautiful colors. I love the way the butterfly just pops off the page. The splatter adds so much visual interest too. Thanks for joining our Paper Dolls challenge! Wow, this is so pretty. LOVE the tall design and the movement up the card. Just gorgeous. This is gorgeous, Ujjwal! You have a way with colours and I'm loving the combination of colours, gems and splatter. And I absolutely love that sentiment! Nice colours n love the arrangement of flowers and butterfly !! So gorgeous! Love the spackle paint! 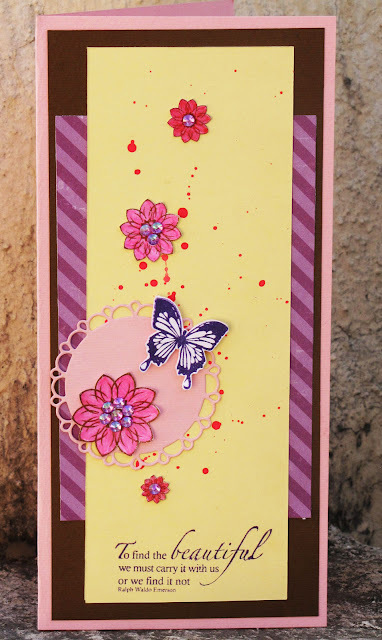 Such a lovely card ujjwal i love the paint spatters and the beautiful butterfly on this!! !...for some reason my blogger dashboard is being flooded with all your post at one go i can nearly see about 8 new post on my dashboard just now!! !